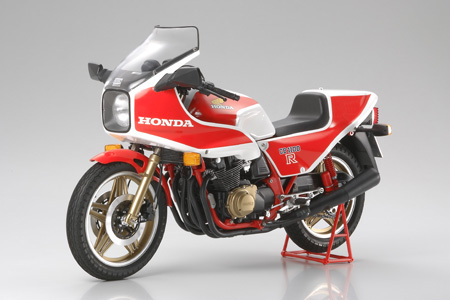 TAMIYA 16033 HONDA CB1100R (1/6) scale model kit! A massive kit of the Honda CB 1100R(B)! Features include a working suspension, moveable brake pedal and side stand, realistic semi-pneumatic rubber tires, a racing stand, and many metal parts. Markings are provided by Cartograf. A big, impressive bike!